Bringing Chloe home was an exciting and confusing time. After surviving the long drive home from the hospital (which was scary as heck with a 5lb baby), everyone went into action. Carl dashed to open the door, I leaped to unlatch the car seat, and Chloe pooped her pants. We didn’t have cloth diapers at the time. Who knew such a teeny tiny preemie could make such a big mess? Awesome. To deal with The Awesome (which was scary as hell considering Chloe was only 5lbs), I reached for the newborn-sized Pampers given to us by the hospital. Chloe must have been comfortable in her new home, ’cause before I could secure the fresh diaper to her nether regions, she peed on it. Now this wasn’t just your average pee. Nope. This was a tidal wave of pee. A flood of pee. Heck, this was the biggest preemie pee to meet a Pampers disposable diaper in the history of pees. I needed Noah’s Ark for survival. But with no lifeboat on the horizon, the Pampers withered in defeat. Actually, the defeated diaper bubbled in excitement. What the heck is in the blue gel pee-absorbing stuff anyways? Gross. Tossed the sucker. With a bare bottom staring back at me, I did what any new parent would do — I reached for a fresh diaper. I figured the ‘Battle of the Baby’s Bottom’ was over since both bladder and bottom were empty. My second diaper would be victorious. Right? Wrong. Chloe fired again. This time I shall not say, but the diaper died a miserable death. Again. Wearing a hazmat suit for my third (and final round) of combat, I managed to corner the target and secured the troops. Victory. Chloe was diapered, for now. But the damage was done. At this rate of diaper disposal, I’d go through at least ten or more diapers a day. How much did these disposable diapers cost? And how much garbage would my baby’s bottom produce? Grumble. 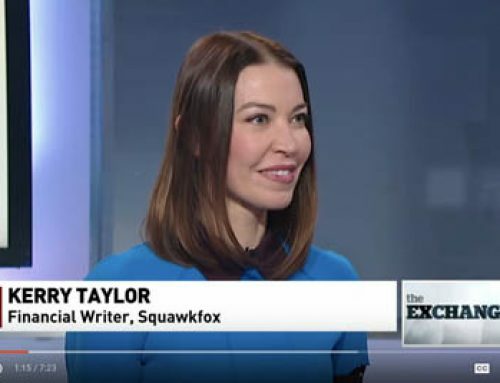 So I did what any new parent (in the Squawkfox household) would do — I created a massive money crunching diaper spreadsheet, people. Could I win the war on disposables by forking out the cash for a stash of reusable cloth diapers? You bet your bottom dollar, and my cost-crunching results might just make ya pee your (cloth lined) pants. From newborn to potty trained. Babies grow fast, but on average it takes girls 29 months to embrace the potty and boys 31 months to get toilet trained. Many diaper forums cite 30 months as a good age to go by, while big-brand diaper companies prefer you start toilet training just before the kids head off to college. Sigh. Bottom Line: Let’s go with 30 months for $hits and giggles. Oh, and there are 30.4 days in the average month (365 days in a year ÷ 12 months = 30.4 days). Expect to change around 7,354 diapers before your kiddlet learns to flush the toilet. That’s an average of about eight diapers a day, and all the spare time you thought you had. How did I arrive at the 7,354 diaper number? Check out my disposable diaper spreadsheet for numbers and references. I Googled around to see what more experienced diaper changers (yeah, real parents) and diaper sites had to say. Turns out babies and kiddlets need fewer diapers as they grow through their ages and stages. Newborns could bottom out at 16 diapers per day, while toddlers may need around 6 diapers to get them through the next 24 hours of driving you crazy. Bottom Line: An average of 7,354 diaper changes are in your baby’s future. Sorry to dampen your drawers. The cost of disposable diapers. The unit price of various disposable diaper brands (and sizes) can vary across Canadian Provinces and American States. Buying in bulk or using coupons can cut your daily disposable diaper cost by a few bucks. My survey around North America averages the sizes and brand differences into one tidy lump sum of 26 cents per diaper. Holy crap. Ready for the mathy math? 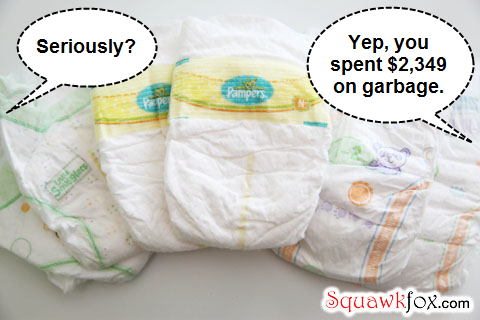 Bottom Line: Pamper or Huggie your kid in 7,354 disposable diapers over 30 months and you’re paying $1,912 to throw away baby doo (7,354 x $0.26 = $1,912.04). That’s $63.73 per month, or $2.10 per day. It’s kinda like that Latte Factor, but with less coffee and more pee. The cost of garbage removal. Good luck taking out the diapers with the trash. Many municipalities burdened by too many bags of garbage now charge a fee for that extra bag sitting on your curb. Rates can vary, but it can be as little as $2 per extra bag (like in Vancouver) and up! Since I live in the middle of a forest in the middle of nowhere, I don’t qualify for city garbage pickup. My disposal site changes a tidy $3.36 per bag ($3.00 + tax = $3.36) so Carl and I are super-careful when it comes to creating garbage since it pays to be garbage-free. Bottom Line: Assuming one garbage bag stuffed full of diaper waste per week at $3.36 per bag, and you’re spending $14.56 each month. Over 30 months, that’s $436.80 to haul your baby’s $hit away. The cost of cloth diapers. There are a dizzying number of cloth diaper systems, brands, and fabrications available on the market today. The good news is there’s A LOT of choice for choosy consumers. The bad news is learning the cloth diaper lingo (AIOs, pockets, fitted, prefolds, wraps, etc.) and choosing the right system for your dollar and kid’s bottom can be daunting. Bummer. I’ll show you my cloth diaper stash hits and misses (leaks and catches?) in a later post and introduce you to the systems and fabrications available, but for now let’s just assume you can kit your kid in cloth for around $450. UPDATE: Here’s how to build a cloth diaper stash on any budget. Bottom Line: Bet your bottom dollar that a simple cloth diaper stash can be had for an average of $450. Sure, you can spend less on certain systems (prefolds with wraps) or more on others (AIOs, wool, pocket diapers), and even less if you’re buying used, but let’s go with a middle ground so everyone can budget somewhere in the center for a new stash of cloth diapers. The cost of cleaning cloth diapers. It’s a dirty job. But not terrible. I launder Chloe’s cloth diapers every other day, and so far that’s around 17 diapers per load. Looking into my future of 7,354 diaper changes, I’ll have completed 433 loads of cloth diaper laundry. By using the dryer infrequently and hang-drying most of my diaper loads (the diaper shells will last longer), one load of laundry averages about $0.75, including cloth-safe detergent. Bottom Line: My total laundry cost is around $10.83 per month, or $324.75 for 30 months of washing (433 loads x $0.75 = $324.75). There’s a fun catch when it comes to the value of cloth diapers — people love to buy used diaper stashes. Try reselling your used disposable diapers. HA! Seriously. The going rate seems to be around 50% for all cloth systems in good condition, and 70% for newborn diapers. So let’s assume you can sell your cloth stash for 50%, ’cause you can. Bottom Line: Reselling your $450 cloth diaper stash at 50% brings $225 back into your pocket ($450 x 50% = $225). Cloth Diapers vs. Disposable Diapers. This is where Carl nearly crapped himself by volunteering for 433 loads of laundry. Cut the crap: Cloth diaper your kid and save $1,799 (77%) over disposables. Bottom Line: Stop hugging your Huggies — making the switch from disposable to cloth diapers could save your family a stunning $1,799.09 (or 77%) on diapering a single child. 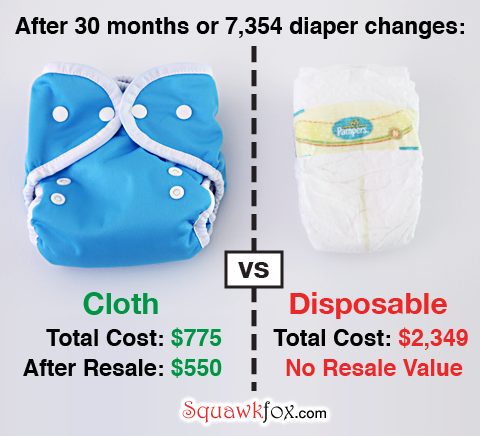 Diaper a second child in the same cloth diapers and you’ll save an additional $2,024.09 since you’ll reuse and wash your stash, thus avoiding disposables altogether. In 2010, disposable diapers accounted for 3.7 million tons (2.3% total) of municipal waste. 1.7 billion disposable diapers are used each year. Disposable diapers represent 3% of residential waste. Disposable diapers take about 450 years to break down in the environment, possibly much longer in a landfill. Check out how to build a cloth diaper stash on any budget to see what’s in my cloth kit. What’s in your cloth diaper stash, and how much did you spend? Do you think cloth diapers are worth it? I don’t have kids (yet) but I loved the sense of humour in this post. For my friends and family that have gone with cloth, additional savings comes with hand-me downs. If there’s enough time between baby one and baby two, you can use the same diapers for both — thereby cutting diaper costs in half. I grew up in East Germany and there kids were potty trained much much earlier than 30 months, so I wouldn’t calculate the cost like that. I managed to get the girls go potty (with help) at 15 months, and I also washed less than every two days, so it cost even less. But I still think it is worth it… and so much better for the environment. 5 years ago I cloth diapered my son and paid $500 for my new stash of Fuzzi Bunz. I sold the stash for the 50%. 2 years later I saw my stash being sold again on Kijiji. For the same $250. I don’t know if they got the price they wanted. But they sure do last a few kids. So if you have more than one kid in those diapers before reselling you save even more. Loved your article! Such concrete and sensible reasons for using cloth! (And I never see a cloth diaper left abandoned in a park or in the middle of a parking lot!) I used cloth diapers for my two children 20 years ago. It seemed sensible then too and so much better for the environment. I bought tiny ones used and bigger ones new. I dried them on an outside clothesline which seemed to help them stay white. I don’t recall the cost, but my investment diapered two children and then I passed them on to a friend. 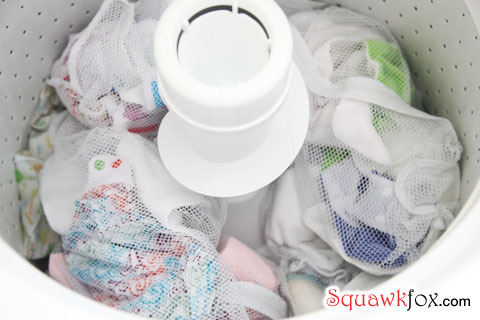 We’ve used the disposables because we didn’t want to deal with the hassle (and dare I say it – the smell) of washing the cloth diapers. While the newborns do poop and pee a lot, once they start getting older they’ll do it less and less, and at least for our son I don’t think we used nearly as many diapers as mentioned in the post. Now as a toddler I think he uses maybe 3-4 a day. But if folks want to go down the road of cloth, more power to ya! The math adds up but I still can’t bring myself to do this. I’ll stick to saving money in other ways! I used Elimination Communication until my DD was 6 months and wanted nothing to do with it, and used about 1-3 diapers/day. Also, you are washing other things with the diapers I hope! I knew someone who had two kids in cloth diapers and figured out that b/c of all the other baby/kid laundry it really only worked out to one load a week. I’m glad that I was able to get a lot of my diapers for next to nothing before some coupon wording changed, but since my daughter hated cloth diapers (would scream as soon as she started a pee in them) for me it had to be disposable. I have friends who use cloth. They made their own and saved even more money that way. We use disposable diaper’s and had our oldest daughter potty-trained before her 2nd birthday. Like Peter said, you won’t go through as many diaper’s after the first few months. We buy Pampers at Superstore and usually catch them on sale for about 20 cents per diaper, so a bit cheaper than your comparison. I had to laugh at your intro though. Our newborn is also fond of peeing AFTER I take off her diaper. 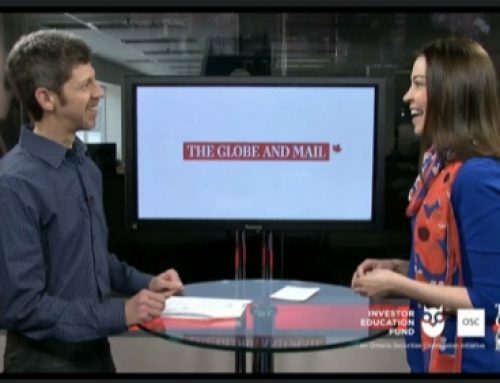 My wife and I use both cloth and disposable diapers – but more often than not, we use cloth. Cloth diapers are by far more economical. But if you REALLY want to save on the cost and are willing to train (yourself) and put in the time, “Elimination Communication” (EC) is the way to go. I agree with Sunshine on that point. Our daughter started peeing on the toilet the day she turned 2 months old. Think its crazy? My wife and I did!!! There are a few books on the EC and they are worth it! Why use cloth or disposable when you can use neither?! As a mother of 3 boys in 3 yrs I had pretty much no choice but to use cloth. I (and a group of friends) even went a step further and sewed all my own from a great pattern found online…great savings, and I customized the colours to keep things even more organized. I used cloth diapers years ago for all my five- way before all these neat diapering systems that are around now. I felt, as a stay-at-home mother, I couldn’t justify the expense of disposables and also there is the environmental factor. We use BumGenius pocket diapers. I bought a stash of 18 diapers and small, medium and large wet-bags for about $400. I’m using them for kid #2 right now, but I mainly use them while we’re at home, and disposables overnight and when we’re out and about for the whole day. The only gripe I have with the cloth diapers is that you almost need to have two sets of clothes…those that fit their teeny bum with the disposables, and those that fit their gigantic bum with the cloth diapers on! But it’s worth it knowing that we are reducing our impact on the environment! I used cloth for my kids and used cloth at least 80% of the time, probably more like 90%. Of course prices would have changed since I did cloth, but I spent far less than that on cloth. My mom bought me some good old fashioned fold and pin them diapers, I used them for an extra layer at night and back-up. I bought myself some cloth diapers from Sears, Kooshies I believe was the brand. I used the velcro kind and velcro covers. If you don’t leave the diaper changes too long between you can use the covers more than once before they need changing. I spent less than $100, my kids are 12 and 14, so it was a long time ago, but that’s in Canada where things are WAY more expensive than in the US. I don’t even know if the brand exists anymore(they changed the name to Kushies I believe at some point), but they were much cheaper than other cloth and worked great. I used them for 2 kids and while I don’t recall what I did with them after(likely passed them on to family who even at my urging wouldn’t even try cloth), but they were definitely in good enough shape for at least one more baby to go through. Doing cloth is not nearly as hard as some people think it is, and a huge benefit too is that most(I won’t say all, because it depends on the child and if the parent is willing to actually train them) are out of diapers far sooner than if you use disposable. One of my boys was out of diapers at 20 months, the other right around 2 years. A lot use the excuse of not having time, it’s nothing more than an excuse, I worked full time(was back at work when they were only a few months old) and my husband also worked full time(both of us with more than our share of overtime as well). We worked opposite shifts and he had no problem using the cloth when I wasn’t home…as long as I did the washing lol. The only time I used disposable was if we were going to be out for more than 4 hours or so, and even then not every time. I used cloth diapers on my daughter with no regrets.I didn’t have the diaper covers you show in the pictures, I used pins and rubber pants. When she gets married and has children, I will encourage her to use cloth also. Okay, this blog post made me laugh out loud so hard that it hurt. Literally. My son was born 3 days ago, brought him home 2 days ago, and he is a pooping king. Ah, babies. I like reading your math. We used disposables with my older son. I remember it being about $30 a month in disposable cost. As they get older, they need fewer diapers but they cost more per diaper. The cloth service we tried didn’t work out. I have a job, and my daycare wouldn’t deal with cloth. This time, we are still in the pampers. But my very good friend just passed on a box of cloth diapers that her 2 month old has grown out of. I haven’t had the time to do research or think much about it. (Still working through the whole childbirth recovery and breastfeeding thing right now.) But since she ALSO happens to be using cloth AND will be my daycare provider when I return to work (part time) in October, I think there’s a very good chance that we can use them this time around. And the covers are so stinking cute. My children were born in the early ’70’s, just around the time the first disposable diapers were coming onto the market. We had a dozen square flannelette diapers and a dozen rectangular chix guaze diapers, plus diaper liners. The flannelette squares were folded origami style into a ‘kite’ and fastened with large metal diaper pins that had a second top to keep the pin secure. The gauze diapers were folded into the middle for extra absorbancy and softness, and the diaper liners caught the poop so it could easily be flushed down the toilet – well, except for the explosive ones :). As a young mum on a budget I hand washed [actually boiled] diapers once a day and line dried. I bought a pack of plastic pants to cover, also washed daily. The total investment was about twenty dollars back then, counting two sets of pins and a bar of soap to keep them in, and wooden clothes pegs… for some reason I enjoyed taking a few minutes in the afternoon to sit and fold clean diapers with lots of help from the little ones. Less complicated times. Thanks for the sweet memory!! Cloth -only way to go 🙂 Thank you for showing how much cheaper it is 🙂 The first week or so, yes it’s great to use whatever the baby came home from the hospital with, or save a few for trips…. after that, even with 2 in diapers, I only used cloth. Luckily, Mom bought 4 dozen as a gift for the first, and they, plus garage sales finds, lasted thru 3 kids. Now – literally 30 years from the last kid, I am STILL using some of those prefolds on my swiffer mop and for the bottom of the dog travel crates when they have to travel : 🙂 Those diapers rarely wear out! lol ! Loved this post- it inspired me to comment and generally I lurk. A couple of things- you will probably have trouble reselling your cloth diapers if they are prefolds- used prefolds are a dime a dozen (at least on kijiji), but any of the other systems probably will resell. The prefolds can be reused as rags around the house, or handed down to someone else (I have tried lots of options and we pretty much only use Thirsties prefolds, plus EZfits for the diaper bag). 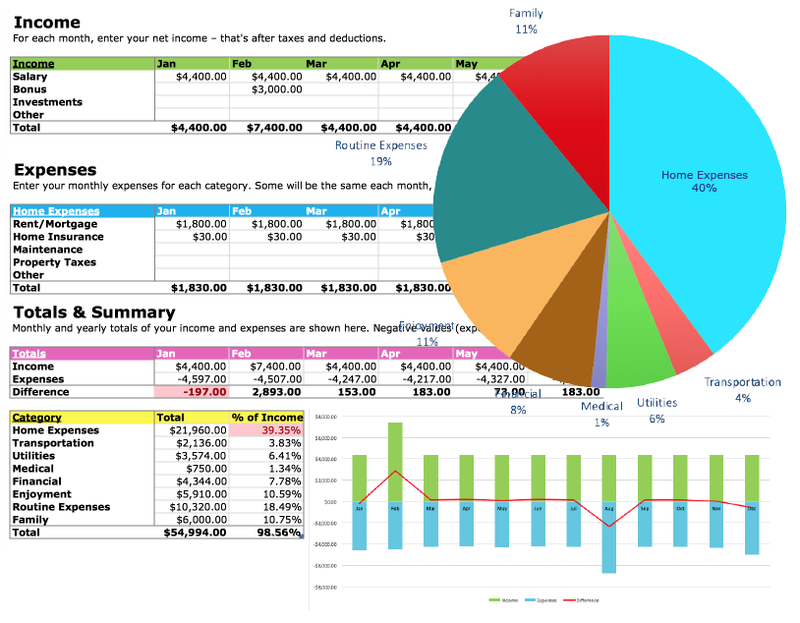 I didn’t have time to look at your spreadsheets, but if you are ever deciding whether it is worth buying a diaper sprayer, DO. Ours cost around $30 and it is worth every penny, as our son (now 14 months) doesn’t really produce dirty diapers where things plop easily into the toilet. I would also champion cloth wipes rather than disposable wipes. We bought two packs (10 wipes in a pack) of Kissaluvs- they are nice and big and have a smooth and a slightly rougher side. Plus we have baby washcloths. We use the kissas for dirty diapers and the others for drying the baby bottom off. Just spray with the sprayer (if necessary), dump in the wet bag, and wash with your dipes. We are currently overseas for a month and are using disposable diapers and wipes, and my husband can regularly be heard cursing the uselessness of the disposable wipes. Can’t wait to get back in cloth! Laundry is not something I enjoy, so for me the value equation is a bit different — how much do I value my time? I would use 1 round hour as the time it takes me to load, hang, and fold a load of laundry. So for 433 loads, that means the $1800 saved works out to 1800/433 = $4.16/hour. Long before my daughter was born my talented mom was busy sewing cloth diapers for her. They were fabulous and I was sooo grateful. I found the best thing about them was that not once did my girl have diaper rash. Not ever. Her little bottom was happy for years. We’ve used a combination of cloth and disposables with all our girls and definitely it’s nice to have some dispoables on hand (for when you’re out and about). But we see a definite cost savings when we use our cloth diapers more and the uptick (Peggy also mentioned) is because cloth diapers are uncomfortable when wet, our girls have potty trained much closer to the 24 month mark (with no pushing from us). So even more savings there! The only item I did not see in the list of expenses is the cost with respect to hours that the person spends washing, hanging, folding and putting away. Also what do youdo when you are not at home – where’s the storage for the soiled diapers epecially if you are on vacation. I don’t see anything wrong with cloth or throw away diapers. I think it really comes down to your discretionary income. I do think it’s probably cheaper to use the cloth but there are a lot conveniences we have in the US that are more costly than other alternatives. Good luck to all of the new parents. My youngest starts college in August. I would persoanlly focus on getting your chid to be in teh top 10% of their class and save those extra throw away dollars for college – you’ll need it. Well written! I started using cloth when my 1st son was about 1 year old. That was about 8 years ago and how the cloth diaper selections and options have changed. Especially used ones. If you shop around you can find some great deals and if you buy used, you can recoup way more than 50% of your cost when reselling them-at least this was what I found for the mother-ease sandys that we used. I actually made a profit selling one batch and sold a baatch of fuzzi bunz for what I paid for them. Using cloth wipe is a must too–just toss them in with the diapers. And for those, for sure make your own–even cut up old t-shirts work just fine for free. I love my cloth diapers. My daughter is 26 months and working on toilet training, and I have been totally pleased. I love my baby’s cloth diapers! One thing we have never had (which seems to be common with disposable diapers) is a diaper “blow-out”. Our Thirties covers have caught even the most explosive poops. This is a point in favour of cloth for convenience. 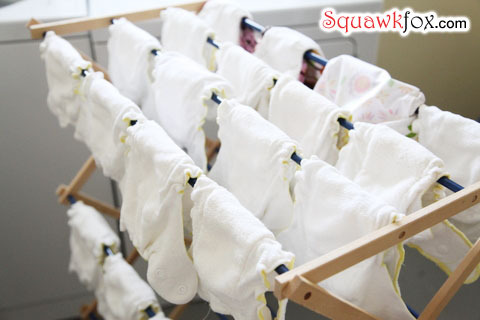 We use a coin laundry and as a result chose to use flat diapers which are simple squares of fabric folded into diapers. Both me and my husband enjoy the folding. Plus, one size is all that is required from birth to potty training. Our entire system cost under $250, including homemade flannel cloth wipes. The waste (financially and materially) of disposable diapers made them a non-option for me. I’m happy to report that cloth diapers are neither messy or inconvenient when compared to the options. Thanks for this post, Kerry! I am expecting my second and seriously considering this option. My question is, since you live on a farm, are you using well water? I test-drove cloth diapers for a solid month with the help of a “somewhat crunchy” neighbor, and found the whole process to be VERY EASY AND USER FRIENDLY. However, in that municipality, the sewer portion of the utility bill went up $57 that month. I pay less than that monthly for disposables, using coupons. Still, I am going to do some serious homework on the overall cost because we’ve since moved cross country (to a desert, no less, where water conservation is serious business…). For those of you that just “don’t like the mess”,you can buy diaper liners. Biodegradable flushable liners (not on sale) will about double your costs, but they will still be saving you about 1000 dollars and you’ll be able to avoid the mess. My babysitter for my son did not handle cloth well. She just tossed everything – poop and all into a plastic bag for me to deal with when I got home. It got to me, so I used disposable for when he was in daycare and cloth for home. I believe kid toilet train faster in cloth because they can feel their pee more. My Russian friend trained both her sons with what sounds like the EC method very early. I don’t think it is that important, because the toddlers can’t hold it very long, when they tell you they have to go – they really have to go and you’ll be running to the nearest toilet or dealing with an accident (in the middle of aisle 6 of the grocery store!). I experienced more leaks in the cloth diappers than the dsisposable and had to wash more clothes and the bedsheets more often. The cost for disposal of disposable diappers in Toronto is free because they can be put in your green bin (for composting). For completeness – you should provide a spreadsheet for the cost of laundering the cloth diappers. My water is metered, electricity in Ontario is higher than in BC, there is a difference in using hot or cold water an how you heat the water, the choices in detergent and what you soak the diappers in. (BTW – I found OXY to be a great stain remover). Those that must bring their loads to a laundromat have completely different numbers tgo work from. I used cloth with my son, who is now 3. He was potty trained at about 24 months, having had the benefit of slightly older cousins. We used disposables for the first few weeks, when he fit the newborn size, then switched to AIO one-size cloth. They worked wonderfully. I didn’t have problems with leaks (which did happen with the disposables) and he never had diaper rash. I’ll definitely use cloth with the next little one. Latest development is “goodnites bed pad” which are way too expensive; to get a child out of diapers just get dollar-store duct tape and puppy training pads. Tape the pad ON TOP of the sheet, and throw out the pull-ups. Have the child drink huge quantities of water (it’s the only medicine for bed wetting that works) and avoid milk and citrus in the evening. There’s lots more that can be done, see my site for more tips..
My children were born in the 70s and diposables were just coming on the market. I had 3 dozen cloth nappies 2doz were towelling and 1doz flannette. I had these for all my children by the end they were very thin, I never had the problem of smells as they were emptied and rinsed straight away then put in the lidded bucket with Bicab to soak in till the morning after where they were all washed. Sometimes I boiled them up to give them a total freshing. I never used chemicals on my childrens clothing and I still don’t use any today. I think you’ve overestimated the cost of disposable diapers, but that’s not important. What’s more important is that you update this post after you’ve scraped 8 month old poo off the cloth diapers with a butter knife. That’s when we started using disposables. Furthermore, how are you going to hang the inserts out to dry when you’re busy running around trying to get your 14 month old to stop eating wood chips and biting the fence at the park? It’s been a long day. I love cloth diapers and was so sad when my last diaper fell apart. I was lucky enough to give birth right as disposables came on the market. I used both disposables and cloth diapers on my children but preferred the disposable ones because they didn’t have hypoallergenic laundry soap back then that would really get cloth diapers clean. Today the problem with cloth diapers is that you are swaddling your child in a mishmash of chemicals, if you have city water. Our water will kill a small animal if not adequately filtered (imho). For example, we never have problems with bladder infections, with our male cats, if we give them only filtered water. If we give them city water they will usually start having problems within a week. Our water has lots of flouride and chlorine in it which can be absorbed through the skin. I don’t think anyone knows the long term effects of these chemicals on infants but I know they sure messed up my thyroid. I like the idea of using cloth diapers, if possible, but there are many more pros and cons than you listed which could make a real difference in price over the long haul. Thanks for making such a strong point with humor! GREAT post and a must-read for any parents or parents-to-be! 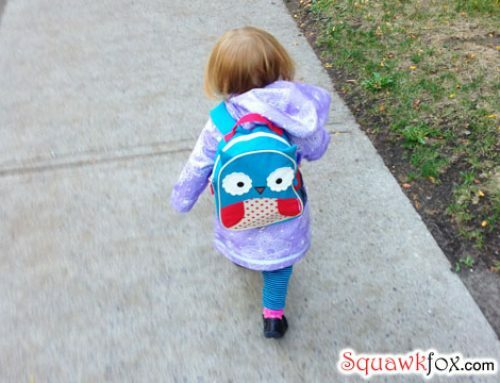 Loved this post – we were also very frugal with our daughter’s diapering! We used cloth diapers almost full-time with our daughter (disposables for travel and difficult days)- never had leaks with the diaper cover, very few rashes, and washing was something we had to plan for but was not a big deal (about every 3 days). Even going out and about, it was easy to bring a big ziploc bag to contain the wet/dirty diaper until we got home. We only used small cloths wet with water to wipe baby’s bum, and a bit of toilet paper or used paper liner to clean up messes. We used paper liners to catch poos and flush – if she just peed in them, we washed and air-dried them, and reused them once or twice (after that they were cut in half and used as wipes for big messes) so we didn’t spend all that much on the paper liners. As for cleaning – a dry pail with baking soda for wet diapers and not-so-messy dirty diapers, and a bucket (with lid!) filled with water and vinegar to keep the dirtier diapers until washing day. We never had problems washing, and only very minor staining. Our daughter was toilet-trained for poos by 14 mo.s which made cloth diapering way easier after that – hitting the toilet consistently for pees took a bit longer but way less laundering required. With our second child we are using disposables a bit more (going out and about and at night) – life is just way too hectic right now with baby and toddler to get around to that extra load of laundry! But we`re reusing all the cloth diapers for him, so haven`t had to outlay too much for disposables. Cloth is definitely the more cost-effective way to go! THANK YOU for being a voice of reason! 🙂 I tried to fight this battle with my husband when we had our daughter. We used cloth when she was in the newborn sizes, then switched to disposable as my husband watched our daughter at his place of business and didn’t “have time” to do the cloth thing. I lost the fight then… Perhaps with baby #2? I’ll have your math to back me up! 🙂 Again, thanks for sharing! Great article! Thanks for doing the math. My wife and I have a 7 month old son and decided early on that we were going to use disposables (for this kid at least). The reason: we had a baby shower and entered everyone who brought in a package of diapers into a drawing for 3 prizes. We ended up with thousands of diapers and still haven’t run out. We’re hoping they last for the whole first year. For those of you who want to use disposable, but are trying to live frugally, make diapers a staple of your baby shower. It pays off big time. hi Kerry, wich is the best brand than you recommend to use?? of cloths diapers?? ?, im 7 month pregnant and i really want to use them but there are so many brands!!! and stuff than get my confused haha please help!!! WOW Kerry thats awesome!!! I really enjoy reading this one!!! i cant wait for the new one…. to be prepare and buy my diapers..thanks!!! This is a great article. I’m an expectant mum in Australia and I’m all for cloth. I confess, my absolute over arching issue was with the environmental impact. I would pay more for cloth in order to reduce the waste. When I found out it actually costs LESS, EVEN with the fairly ‘expensive’ mcns (so much more convenient than wrangling the old fold and pin nappies). But there are so many more reasons to go cloth. Everyone says kids just don’t get the rashes with cloth that they do with disposable. They potty train faster. Never met a person that doesn’t think mcns look adorable either. The amount of people that have tried to convince hubby and I out of this however is astonishing and all falls along the lines of “it’s so much work, trust me you’ll be over it pretty quickly”. And some of these people are otherwise quite environmentally conscious. I dunno, we have some pretty fancy modern appliances nowadays. we have a wash/dry combo machine. I know chucking mcns in the dryer isn’t great for them, but for the times we’re both just too wrecked to hang out laundry, they can just be chucked on the wash/dry setting overnight and hey presto – clean in the morning. and as for the comments about it being gross to deal with all the poo etc. Well, my mum did it. Her mum did it. Her mums mum did it (and probably had to hand wash then toon). Who has a baby and can’t handle poo? Kerry, we used cloth diapers on my son but as soon as he was able to object, he objected strongly. He screamed whenever we tried to put one on and ripped it off immediately even if we managed to. We tried, but the kid has something to say about it too. Also diapering with cloth makes baby a bit more prone to diaper rash — you’ll see. Hi! 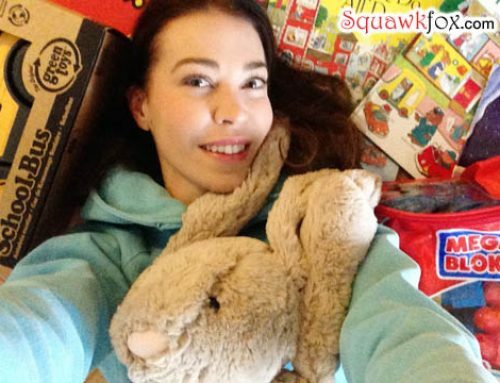 I really enjoyed reading about your diapering adventures. I have only used dPampers. I have a 5 year old who was potty trained 2 weeks before turning 3 and an 18 month old that I have not yet started potty training. I considered going the cloth route but it does take more time and preperation and I just wasn’t willing to put in that extra time. And I do think your time needs to be taken into consideration. Especially when you have more than one child. I barely have time to go to the bathroom myself most days. And also you really need to shop around on prices because I have never spent more than .17 per diaper. There are/were internet sites that give awesome discounts and deliver to your home for free within a couple of days. I haven’t done the math using my costs. Using cloth might be and probably is still some what cheaper and for sure better for the environment. But this girl is all about convenience these days. I recycle and do a few other things to try and do my part to help the environment. But I do commend everyone who uses cloth diapers. It’s a messy job and I’m glad there are those willing to take it on. I used cloth on all my three, and rarely had a problem with diaper rash. With each of them, I bought a tube of diaper rash cream before they were born, and ended up throwing it away not even half used when they were trained. I washed the diapers every second day, and never noticed an odor. I used vinegar in the final rinse, which helps get rid of soap residue and also brings the pH level of the diaper closer to the child’s skin, which helps a lot with rashes. I know it made a difference, because a few times I had run out of vinegar and they did get a rash. It didn’t seem to make a huge difference in our utility bills either – when you have kids you’re doing laundry all the time anyway so what’s a few more loads a week? The cheapest and most environmentally friendly solution — whether you use cloth or disposable — is to potty-train as early as possible. Difficult for parents who use extensive child care, because child care workers don’t want to deal with it, but if you’re home with your baby most of the time it’s do-able. I’ve had three of my four children potty trained by 18 months. (The first one was trained more conventionally). I did it by borrowing methods from the “diaper free baby” movement (sometimes also called “elimination communication” or EC), even though I never actually went diaper free — my kids wore diapers most of the time. So, for example, I established a “cue” to teach the baby to pee on command; I held them over potties once or twice a day from birth; and as soon as they could sit up we had plastic potties available in every room of the house. You can use these methods to go diaper free if you want to, but even though my schedule didn’t allow for me to be attentive enough to go all the way with it, I was able to use it to cut total diaper use significantly. YMMV. Hi, I totally agree on using cloth diapers. When my kids were little that really all there was available and we survived just fine. I notice with my grand children that they are wrapped up in disposable diapers which makes me wince. It’s not a coincidence that everyone can relate to a newborn peeing and pooping AFTER the diaper has come off. Infants are born knowing not to soil themselves, and we actually train them to use a diaper. Then after a few years we have to train them to NOT use a diaper. How much better for the infant, the environment, and wallet, to learn to read the infant’s cues and provide an appropriate place for them to pee and poop without soiling themselves and their clothing. Google “elimination communication”. It’s a wonderful way to feel connected to your infant, meet her needs, and save money. Maybe it is because I am a super saver but my math comes up to only $960 for 30 months of diapers, of course I use prime on amazon and get 20% off of diapers. My son is 7 months now and because I am a student I can only purchase diapers every three months but I make my 612 diapers (three cases) last about 4 months and they are Luvs. I have done the comparison on cloth diapers and disposable and so far It is about the same if not cheaper for my luvs. And since I have a newborn nephew, all of the diapers my son grow out of goes to his cousin even if it is 2-3 because very diaper makes a different when you are on a budget. But I am also a super saver and make sure to get the best deal even if I am only saving $.02 a diaper. When you do the math on that on a package of 204 diapers, you are saving $4.08 and that is half a box a wipes. And if you check out you grocery outlet they sometimes have diapers. We found a box of 258 pampers diapers for $29.99, which is an amazing deal for pampers. So really shop around to save the most if you don’t want to use cloth diapers. I just got a bunch as gifts and because I have an HE machine my soap will go much further as I also have very soft water. If I were to outright have bought my cloth diapers it would have cost me $10/ AIO Hipkiddo diaper plus tax, and then the cost of the rock’n green detergeant 22.99 for 90 loads if you are using a TBSP but I use 1 TSP which triples that to 270 loads. Not only that but I recently found information on making my own wipes so going to save another bundle there too. I’ve always been concerned about the cost and garbage of traditional diapers. I’ve always wondered what the savings were, so thanks for this ! Now I am even more sure that I will buy cloth when the time comes, and hopefully get a used set for cheaper!! Great post. And most people focus more on the convenience when using disposal. They’re not taking into account the effects on the environment and also total cost. Another option is to use a cloth diaper service. We’ve used the Happy Nappy Diaper Service for a year now, and it costs about $100/month. Well I guess I’m the minority here because our diaper costs were actually MORE than you listed. Between the most expensive “green” diapers, wipes and creams we spent about $1600 in the first 6 months of my daughters life. We tried every brand and type under the sun and they all gave her horrid rashes. Finally out of desperation we tried cloth to see if that would help her rash. It went away OVER NIGHT. Were talking a bum that had not been rash free since the first diaper. Now that she’s a toddler and rebelling all forms of potty training I’m happier than ever we don’t pay for dipes any more! Especially with number 2 on the way. You’re incredibly thorough research astounds me. I always assumed cloth would be cheaper, but the numbers are amazing to see. Your efforts are greatly appreciated! My son is 2 months old now and we loooooooove our cloth. We did install the spray gun, easily. For a more expensive (not much more so) option you also have flushable liners which catch the poo so you can just chuck it down the toilet. Kerry, you mention this in another post, but I would reiterate, kids, parents and nappies are all widely different. It is very much worth your time to borrow a few different varieties before buying up a nappy stash as you will almost certainly hate one type and love another. And your opinion will be widely different from your best mummy friend. If you buy up a stash before bub is born (or before you’ve tried then out) you’ll regret it and waste your money. The work has been minimal, even with a newborn going through a gazillion nappies. We also have a stash of about 40cloth wipes and chuck those in the bucket for washing too. We keep the clean ones in a cheap lunch box with a bit of bicarb and water. As for the chore, maybe I’m a bit weird but I just love hanging all those cute things out to dry, folding them and putting then away. Ooh one more saving tip, have a stash of the old skool terry squares. You can use them for everything; a change table cover, a stand in blanket, wipes, a vomit and drool cover for your shoulder, and of course as a last resort: what they’re actually made for! Even worn out cloth diapers have a resale value. Not 50% but a resale value. Ask your local diaper service what they charge. Chances are they have none in stock BTW. Great info! I’m trying to start a cloth diapering class at my local crisis pregnancy center, hoping to help moms get started with cloth. this will definetly help show the savings with cloth. It’s a great post. Very good analysis. But what about value of time? How much time is used in washing? New parents are so busy that most of them are probably better off with disposables. I see that additional $1.5/day as a fee to get out of washing. If you spend more than 6 minutes to save $1, you’re working under minimum wage. $1.5 translate to about 9 minutes a day or 1 hr a week. I’m pretty sure you’d have to spend more than an hour a week to wash cloth diapers. I mean, if you don’t mind the work, sure. But I think even low income family can benefit from using disposables. You’re actually buying time when you use disposables. 1. If you are smart about buying disposables and buy in bulk from certains places when they are on sale (Superstore, Costco, Wal-Mart, Target), you will not be paying .26 per diaper. I rarely spend more than $40 a month and often it is more like $30. That price per unit will make a huge difference on your bottom line. 2. Majority of people I know that cloth diaper do not do it full-time. If you are buying disposables for travel, long car trips, sleeping, outings, daycare, etc., that is going to add a big cost to the initial cloth investment. 3. Again, majority of cloth users I know (myself included), do not use them from birth to potty training. Most seem to give it up after a year or so (especially if both parents are working outside the home). If you only use them for a year or so you are losing money on the initial investment. 4. Re-sale value. They are only worth what someone will pay. I paid about $25 each for new Bumgenius pocket diapers a few years ago. They were used very sparingly and in pristine condition. I was able to sell them for $8 each. It’s also important to note that cloth diapers do get worn out if they are used a lot. It’s like washing your favorite shirt over and over… eventually it’s going to pill, tear, etc. If you wash the same diaper even 1-2 times a week over the period of three years, chances are it’s not going to be in very condition. From my experience, cloth did not save any money and ate up a lot of extra time with the laundry (not to mention the extra clothes laundry as the cloth seemed to leak way more than disposable). And I know many would disagree, but there is not a huge environmental difference. You’re either using up resources in the form of laundry water and electricity/power for the dryer, or contributing to landfill space. Neither is great, but to say cloth is “good” and disposable “bad” is majorly over-simplifying the issue. Just my two cents. Using cloth full time takes a bit of research, it’s not as simple as cloth on bum, wash cloth, dry cloth etc. people who don’t stick with cloth either don’t care about the environmental factor to begin with (and regardless of consumption, there’s still landfill to consider) or don’t research the process. For instance, what type of detergent is used? Most clothes detergents contain chemicals that break down bio matter while dry. These chemicals build up in diapers making them less absorbent and prone to leaks. Additionally, if you approach the task at hand with a negative attitude to begin with, focussing on how hard it’s all going to be, rather than say using the attitude of mums before 1980 which is to assume there is no other option and rather focus on how to best get it done. Disposable was never an option for our family. I think the chemicals are nasty on baby’s bottom, you’re digging up great swathes of earth to get to oil to make something that will be thrown away, that will stay in that format for a good five hundred years- a legacy I do not want to leave for my great great great great grand kids. Our son is 10months now. We researched a few brands to settle on what worked for us, this brand has a resale value on some of its styles that’s actually more than the original price, even worn out. We have a large ‘stash’ so they don’t get used all the time thereby keeping them in pretty good condition. We used disposables for the four days we were in hospital and we will never ever put a disposable on his bum again. Even my husband scoffs at the idea that its so much hard work. It’s not. It’s attitude. Often when people are passionate about something (i.e. the environment), they are not always the most expert on the topic. I came at this from a very neutral standpoint and did a lot of research and talked to what I feel are professionals on the subject (I have a few friends that are environmental engineers). Eventually I came to the conclusion that diapers in general are not great for the environment. Cloth diapers can have a smaller impact if they are used the majority of the time (not switching back and forth) and you follow a strict washing schedule (having enough diapers to only wash them 1-2 times a week and line-dry them). Even so, they are still not “good” for the environment, just slightly less of an impact than disposables. And if you’re using “modern” cloth diapers the numbers are even closer. Most people don’t realize that the majority of pocket and all-in-one cloth diapers are almost entirely made of man-made fibres (namely polyurethane, polyester and rayon / micro fibre). You can get true cotton or hemp diapers but they are very expensive and not as readily available. In the grand scheme of things, diapers are not that big of a deal environment wise. Throwing away disposables takes up a very small amount of landfill space (the majority going to food and paper – stuff that can be composted / recycled. It is estimated that diapers take up about 2-3% in North America). And washing / drying your own diapers isn’t all that different of a footprint than showering, flushing a toilet and running a dishwasher on a regular basis. In short, I would never begrudge someone for using cloth diapers (I used them myself for a time). But, doing my own non-biased research, I have found that there isn’t a huge environmental difference between the two. And the popular brands (bumgenius, fuzzibunz, etc.) are very expensive for what you get. It really comes down to personal choice. If cloth works for you, great. But I think you’re kidding yourself if you believe it’s making a huge environmental difference. If you truly want to have the least environmental impact AND save money, use old fashioned flat cotton diapers (the ones that are folded and pinned) with plastic pants. But most people don’t want to do that (myself included) because they are cumbersome and don’t work all that well. Just my two cents worth. 🙂 We do disposable diapers and we pay quite a bit less then the estimate here. Our monthly diaper budget is $20. Sometimes less if we find them cheaper. We look for good deals and stock up when we can. This is less then $250/year. This seems to work out well for our family and is quick and easy, too. Also, as someone else already mentioned, play the diaper contest game at your baby shower. We did this and received hundreds of diapers. Some are back in storage now for the next child, as my son outgrew them, but this saved us lots of money. Just something to think about if you are not going to cloth diaper. If you are willing to save money and not buy the most expensive diapers, Pampers, etc, it is very doable. In the end, you just have to do what works best for you and your family! I agree that if you are super-thrifty, you can find disposables that don’t cost you a whole lot more than cloth diapers. However, there are many benefits to cloth and you can very easily resell them when you are finished diapering babies for added value. My biggest advise is to find good deals on your cloth diapers to begin with. Whether you pay $20 or $10 per diaper on your stash makes a big difference when you consider purchasing 20+ diapers. Whenever I consider purchasing more cloth diapers, I visit a webpage that lists out all of the cloth diaper clearance sites. I always find a great deal! Ditch the Diapers: when it’s time to potty train (wait till the child want to, 30 months, to avoid bed wetting later) then ditch the pull-ups and tape PUPPY TRAINING PADS (.30 EACH) on top of the sheet, with dollar-store duct tape. Much cheaper than Bed Pads. Next, avoid milk and citrus within 2 hrs of bedtime. Don’t restrict water. Restricting water is a common cause of bed wetting! It causes constipation and a slight headache. To help children get over bed wetting, amongst other remedies I get great results by having kids drink a big glass of water before bed! While I’m at it,why not mention MUSHY POOP! If you don’t have enough fluid in your body during the night, kidneys take water out of your poop, so monitoring hydration is simple: you should have MUSHY POOP every morning. Another vote for if you really care about the environment, you do elimination communication and forgo diapers altogether… you know, if you *really* care about the environment, as in your comment to Steph. To paraphrase, people who don’t stick with ec either don’t care about the environmental factor to begin with (and regardless of consumption, there’s still landfill to consider– those plastic fiber cloth diapers end up somewhere in the end, not to mention laundering’s environmental impact) or don’t research the process. If you’re going to get self-righteous you should go all the way and not use diapers. Also all those dire warnings about early potty training have no scientific basis. Diaper Free Before Three discusses the actual evidence. It’s harsh potty training that causes problems, not the timing of potty training. The readiness signs were invented by someone working for Pampers and coincide with the terrible twos/threes, which is actually one of the worst times to start potty training. Prior to disposables, the average age for potty training was 18 months for boys (now it is 3 years 2 months for boys), and earlier for girls. Disclaimer: We do all three (cloth, disposables, and ec) but certainly do not look down on people who do one or another. Regardless of what age you try drybed training, a child needs everything in his favour to succeed in triggering vasopressin, to put kidneys into ‘night mode’. Basically a child has to go to bed comfortable in mind,and body. I find that most older bed wetters had a problem – emotional or physical – that started it at age 3 or 4 years. For instance, 40% of bed wetting boys just happen to have a sister 3 years younger… or they eat Eggos every morning .. or they had constipation caused by restricting water. So have the child drink water an hour before bed, no milk or OJ within 2 hours of bed, and tuck him in to be sure he’s happy when going to sleep. I do offer a free Toddlers Training ebook on my site, or see my youtube video at the DryKids Coach channel. I used disposables on both of my children 6 years ago. But I really am curious …. What do you do with your diapers when you are not home? We traveled a lot when my children were younger and I am just curious, what do you do on trips where you are away from home for days at a time? Your numbers are wrong. There is no way we go through the average number of disposable diapers you claim. We spend $40 max per month on diapers. Cloth diapers are nasty. I’ve seen a tub of poop coloured water when diapers have been “stripped”. Gross x 1,000,000. That means you’re putting poopy, pee filled diaps back on your baby. I’m sorry about the landfill issue but the amount of water and electricity – not to mention coins if you have to frequent the laundromat – and it’s all the same. Okay, I am on the fence with cloth vs. disposable, every site that I have done research on has added some non-usable information into disposable. Just an example, in this one it was mentioned that I would pay $1,912.04 for 30 months which works out to about $764.82 a year, also $436.80 a year to have it hauled away. of which I have no cost extra for hauling my trash because if its 2 bags or 20 bags, the cost is included in my rent which I have to pay even if I don’t use the trash. So for me that works out to be $764.82 a year. $450 for cloth diapers and $324.75 for laundering which works out to $130 a year. This comes close to the $584 initial cost of diapers for 36 gDiapers plus 48 liners and then still the $130 a year for laundering. which comes to $454.75 – $714.00. But this all depends on how many diapers you get, if you get for example 10 diapers and inserts of which you must wash once a day that comes to $0.75 per day on average for laundering, where as with was dry and detergent you are looking at more around the cost of $1.50 – $3.00 per wash which makes it more around $45 a month %540.00 a year or even if you had the $.75 per load per day, that would still run you at $270.00 a year bringing the new cost up to $594.75 base cost. It seems if you make a large investment in the reusable that you must at least get 30-40 diapers to even see the benefit within the first year. Then there is the hassle of storage of the dirty diapers and $hit scraping duty because not all diapers are going to be pee diapers. I guess if I resorted to air drying the diapers, and liners that would bring the cost down. But again, storage of the dirty diapers and cleaning of the poo filled ones. My daughter usually does the number 2 business at least 2-3 times daily. I highly doubt a load costs 75 cents!!! You need to factor in the costs of hydro, water, and detergent. Many places in Canada have a high, mid and low peak hydro times. Low is late evenings and weekends so unless you ALWAYS wait to do laundry then you miss out on savings. Then there are people that consider their time to be worth something. Doing an EXTRA 2-4 loads of laundry a week is time consuming and tiresome. Many would rather use that time for hobbies, relaxation or other things. Which in their mind is worth something to them. I don’t doubt that cloth is cheaper than disposables but I highly doubt the numbers are as skewed as you make them out to be. If you really want to save money on diapers I would suggest Elimination Communication. With our cloth diapers we took our savings to a whole other level with elimination communication. We stopped using diapers completely after 18 months with my daughter and 22 months with my son. And even before we stopped completely we were “catching” quite often, so we typically used less than half the average number of diapers each day. It saved SOOOOO much money! And with EC you also save on laundry costs because you have less diapers to clean. I am cloth diapering twins! 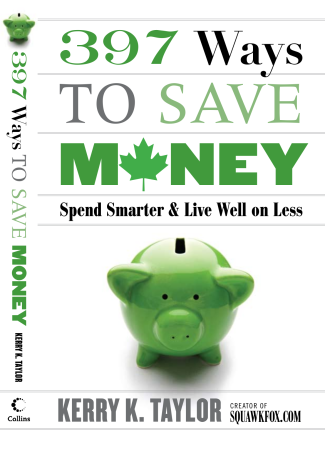 So you can imagine after doubling everything how much we save. We have enough diapers for 3 days worth of changes but was every two days. Most of yhe cloth stashes I see are about the same size as my twin stash. Another factor in saving money is multiple child can use the same stash. Some of the cloth diapers can be hand me downs for your next children. For me its not just about the money situation, I love the prints and colors. I love the idea of less trash. It is honestly less messy, smelly, and gross than disposables. I wish more people would be open minded about cloth. I get so many upturned noses. We used prefolds and cheap covers, and the total cost for cloth diapers for my son was $150 (US). We did use fancy unbleached disposable diapers for about six weeks after a move, and I think it’s safe to say that the cost for those came close to what we spent on his cloth stash. I must say that I have never liked the smell of a disposable diaper. They are horrific when soiled, but even before they are used, the smell is very offensive to me, regardless of the brand of diaper. Cloth diapers smell like sunshine to me, when they’re properly cared for. I bought Alva Baby diapers from a co-op for around $4 each and then charcoal bamboo inserts for about $1.25 each because they are more absorbant. I have about 30 per kid so my stash costs around $315, plus maybe a total of around $50-100 more for the wet bags and liners. I’m assuming I’ll probably get at least half of that back. I am looking forward to trying cloth diapers with the little one on the way! I did find to very reasonable sites to get diapers from that don’t cost $25 a pop. Nubunz and Sunbaby. Nubunz is where we ordered mine. I will say that their customer service is not that great and I was worried that they even had a live person still there, but they did ship my diapers yesterday after about 1-1/2 weeks. My husband was NOT onboard the cloth train, so we had to go disposable. But I’m happy to say that with coupons, and alot of eagle eye shopping, we’ve come in under $300 for the first 15 months. Not too shabby. We have been using cloth diapers on our baby since he was six weeks old, and we have never looked back. I am so pleasantly surprised by how easy it has been. There was a pretty steep learning curve the first week or so, but now we’ve got it down and I’m in a rhythm of washing every other day. I was able to buy my stash for under $100– I use Alva Baby, which is way less expensive than other brands, and has worked just fine for us. I also got very lucky– my sister-in-law had purchased about 30 diapers, used a few, and decided (prematurely!) that they weren’t for her…so she sold the entire load to me for $60. I bought an additional set of six for about $36, and I’m set. Not sure exactly how much I spend on laundry, but I have a HE washing machine, I wash it all in cold water with one extra rinse, I use Ecos detergent (which is not pricey at all AND does not hurt the environment) and use vinegar in the rinse, and I hang everything up to dry. The diapers always come out fresh and clean. Using cloth diapers is the best decision I’ve made for my baby and I feel so good about making the right choice for both him and the environment. SO many people told me I’d give it up because it’s “so much work”– I don’t know what’s so hard about throwing a load in the washing machine??? I can throw a load in and later hang it up to dry in less time that it takes me to get the baby ready to go to the store. It’s all about priorities; you make time for what’s important to you. Leaks– we very rarely have leaks. I will say, you must be a little more vigilant with cloth diapers and change them more frequently, but no baby should sit in his own waste for hours anyway! I see it as a plus. I just check him more often. Our baby has not ONCE had diaper rash, either. We have saved SO much money. For me, it’s more about my son’s health and the environment than saving money, but it’s actually been a win-win-win situation. So everyone with the negative comments, keep throwing money away on disposable diapers and trashing the environment…I’ll keep saving money and being kind to the Earth. Our babies, after all, are the ones who will inherit our planet. Thankfully my husband is on board with going the cloth diaper route – I think the money savings won him over! Our son just turned 2 months, and we only started using cloth diapers this week. He was a skinny preemie, and the cloth diapers, no matter how sized, were just HUGE on him, even the newborn sizes. I had about 4 different kinds on hand to experiment with over my maternity leave. I wish I had known about my newly discovered and now absolute favorite cloth diaper, SoftBums!! They adjust perfectly from newborn through potty training. Can be used with inserts or as a pocket diaper. Yes, they cost more, but did I mention that they fit perfectly and don’t leak? Is there a price on not getting pee on you? We do enough laundry because of his reflux already 🙂 Also, you can remove the snap-on insert and reuse the diaper cover so you don’t have to buy so many diapers (unless using as a pocket diaper- and personally I find pocket diapers kinda gross, reaching in to the pocket to take the soiled insert out, gross. However, great to keep on hand for family and babysitters since even easier than snap-on inserts). It is unfortunate that the people who need to save money the most simply cannot afford the initial cost of a cloth diaper stash, so thank you for posting a link to help people build a cheap but dependable collection. Our plan is to donate our cloth diapers to a needy family (who at least has a washer and dryer) when our little guy is potty trained. We decided to use cloth diapers because of cost, and because of the impact on the environment. Bottom line, using cloth diapers is extraordinarily easier on the environment. Also, I do not want disposable diapers full of chemical gels made by companies that legally have to make profits for shareholders and label their diapers as “natural”, which is a definition created by industry corporations. Cloth diapers are easy to use, cheap to buy used (we found organic brand names for $3-$5/diaper at exchanges), less likely to cause rash if washed correctly, do not destroy the environment, chemical free on a very fragile newborn to toddler skin, and work better holding pee and poop in my opinion. I am not saying using disposables is negative and those who do are “stupid” or anything, but bottom line for me is the environment and safety of my child. I am not going to wrap them in a plastic bag full of chemicals that were cheaply made and then chuck it on the earth to never biodegrade. We tried a variety of cloth diapers and going the trial and error route to see what we liked ended up costing us more than it should have. It wasn’t all about the cost though, environmental factors were a concern as well as the chemicals in disposable diapers. Overall, our cloth diapering experience has been great and I would highly recommend! Hubby and I unexpectedly had twins.. can you imagine having almost 4000$ in diapers in 2 1/2 years? Crazy. We spent 500$ on brand new stuff, 38 inserts/soakers and 6 one size covers. buying 6 more covers for 30$ puts us at 530+shipping and some laundry detergent, wet bag and waterproof laundry bag. We wash everyday/every other day and still have yet to use all our inserts. but feel we need more covers so we are getting more one size, so far no leaks or accidents and just having to wash/rinse/wipe the covers more than we thought we would. Twins are almost a month and a half and cloth diapering isn’t so bad.. yet 🙂 I’m really looking forward to the savings we are getting from not using disposables. Btw, twins poop and pee a LOT. We adopted our daughter when she was a teenager at age 14,and started her off right away in the cloth pin on diapers and adult size rubberpants,24/7 due to her having wetting accidents during the day and bedwetting.I bought the Gerber flat cloth diapers,12 to a package in the 24×27 inch size and sewed them together to make one thick diaper out of them.They were pinned on her with regular infant diaper pins and her rubberpants were from Comco Inc. in the adult size medium and large.I didnt mind washing the cloth diapers and the rubberpants and knew we were saving money.Since she didnt do her BM’S in the diaper,it was easy washing them and i used the Dreft detergent especially for cloth diapers.She didnt mind the cloth diapers and rubberpants as they made her feel somewhat more secure.